I eat stuffing MAYBE 3 to 4 times a year. The two main times are on Thanksgiving and Christmas. 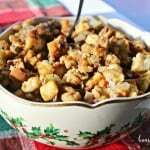 There are so many varieties of stuffing recipes. 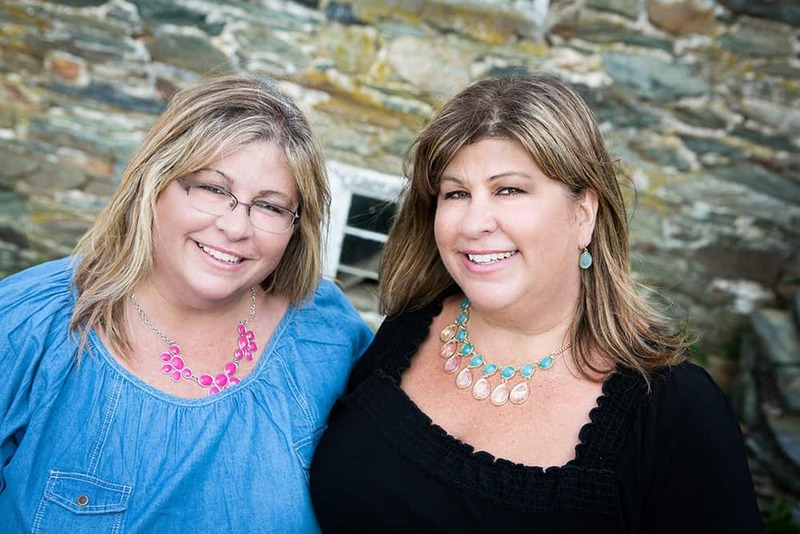 There’s cornbread stuffing, sausage stuffing, stuffing with cranberries, chestnut stuffing….. 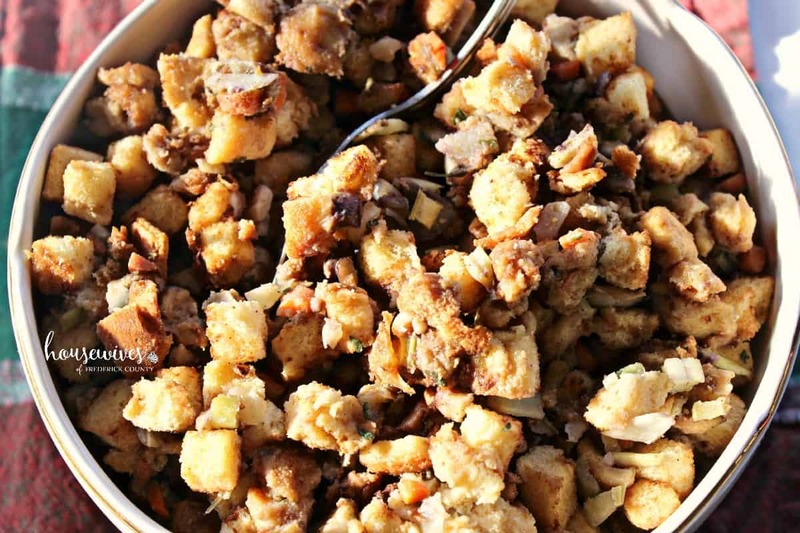 BUT the BEST stuffing recipe in the whole wide world is my Momma’s stuffing. 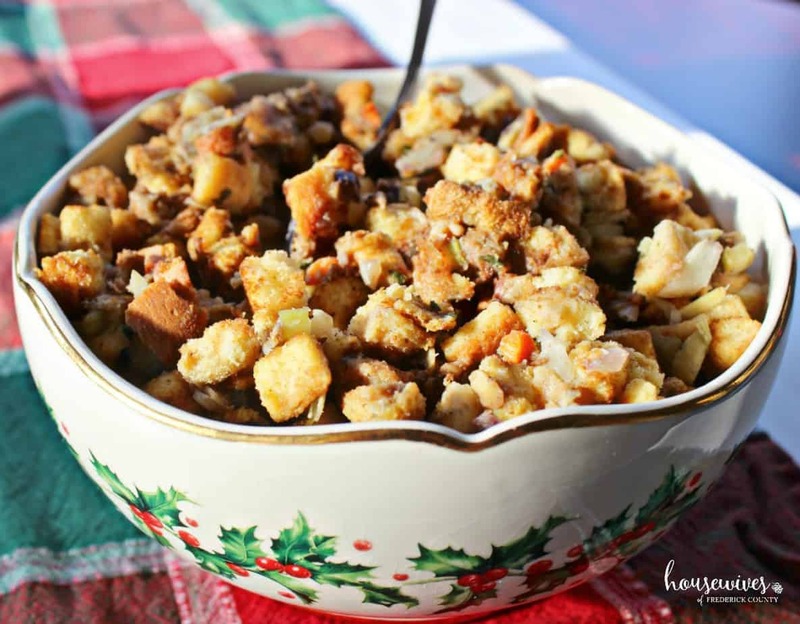 Yes, I may be a tad bit biased, but out of all of the stuffings I’ve ever tried in my life, my Momma’s stuffing recipe is hands-down THE BEST. There’s really nothing fancy about it. And maybe that’s why I love it so much. There are so many flavors and textures in it that it just makes my taste buds so happy. And it’s not all stuck together in a ball like a lot of stuffings can tend to get. This recipe is flaky, buttery, crispy, crunchy, holiday goodness in every single bite. Combine it with some turkey, mashed potatoes and gravy and I am in heaven! 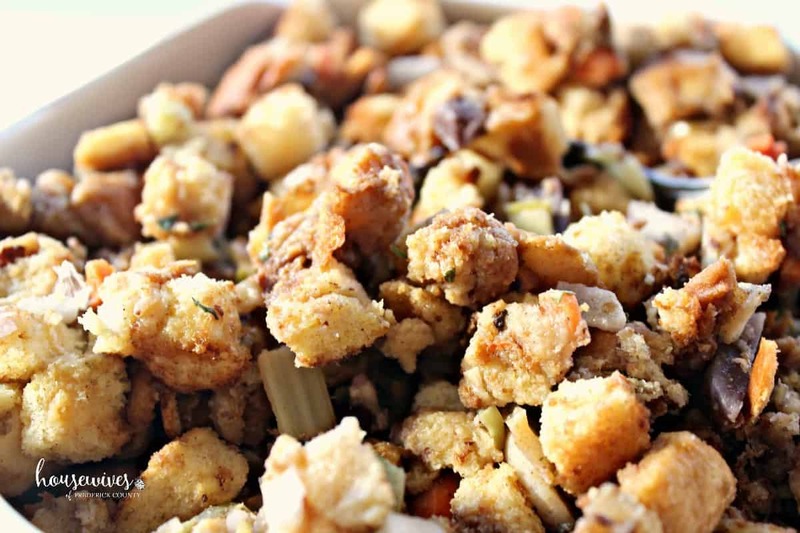 I guarantee you, once you make this stuffing, you’ll never go back to any other stuffing recipes. Unless of course you grew up with a tried and true recipe that YOUR Momma made. Then I can understand your bias. Cook gizzards from turkey in about 1 1/2 cups of water (or you can use turkey broth). Melt butter in separate pan. Add water chestnuts, celery, carrot, onion, nuts, mushrooms (optional), sage, parsley, and salt & pepper to the bread cubes and mix well. Pour melted butter evenly over mixture and mix with a large spoon until well mixed. Pour a small amount of broth into bread mixture. 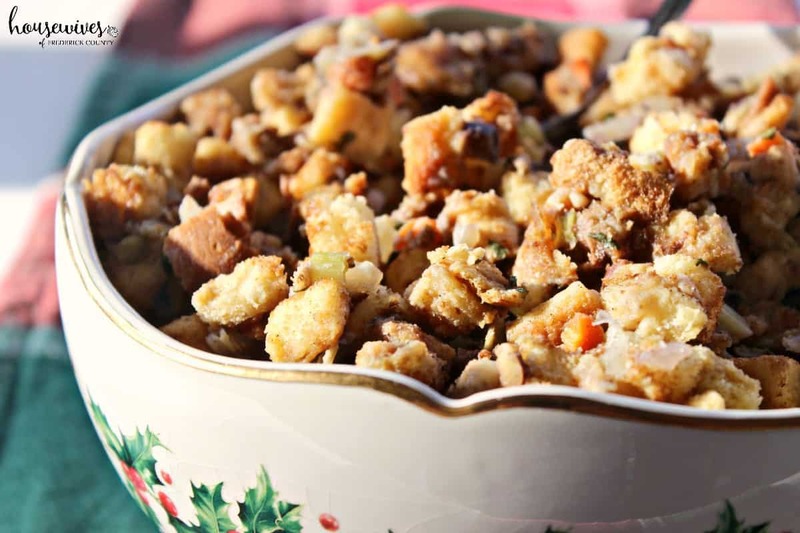 Stir well and gently squeeze a small amount of stuffing in your hands to see if it slightly sticks together. Pour more broth in the stuffing until the stuffing is in the beginning stage of sticking together. Don't get it too wet or sticky (I ended up using the entire 1 1/2 cups). Bake at 350 degrees in a covered casserole dish with tin foil on top of the stuffing for about 15 to 20 minutes. Then, remove tin foil and lid and bake another 5 to 10 minutes until browned. Let me know if you try it out for yourself and what you think. I don’t make ‘BEST’ claims every day. So when I say BEST, I mean it’s seriously good! 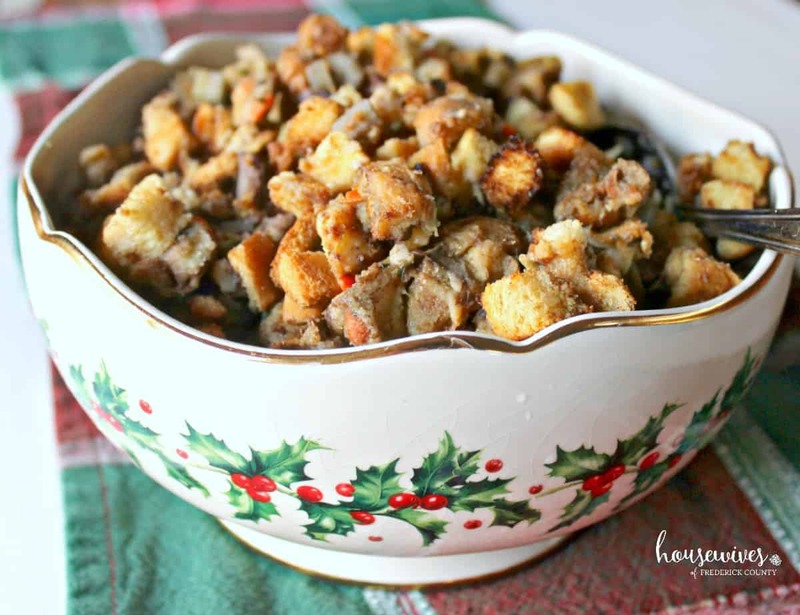 Do you have a favorite stuffing recipe that you always make?